By and large, car guys hate performance convertibles. There are, after all, inherent issues. Take a coupe and chop off the structurally integral roof, and suddenly you’ve got a wobbly chassis that requires lots of very heavy bracing to keep it from being an unstable mess on the road. It’s kind of like a restaurant table with one leg slightly shorter than the other three – you can live with it, but it just might annoy the hell out of you. 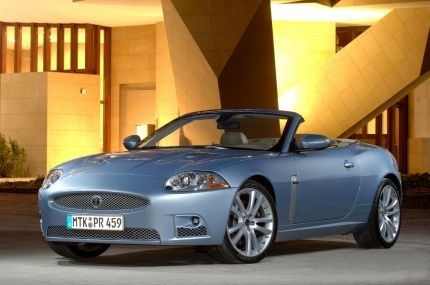 So the XKR convertible should feel inferior to the coupe in just about every way. Except it doesn’t, because the boys who designed it in Bizarro World – er, Coventry, England – decided to do the whole thing backwards, building the convertible first and fitting the coupe around it. It’s proven an effective tactic, blessing the convertible with uncompromised poise and feel while only packing on an additional 110 lbs over the coupe. That means it’s still legitimately fast – 0-60 mph comes in a brisk five seconds – and also a good steer on twisty roads. On a sun-soaked day with the top down and the active exhaust blaring a V-8 soundtrack, it doesn’t get much better. In sunny weather, just about everything – typically lavish Jaguar refinement, the heavens above and the supercharged V-8 – blend together into blissful perfection. With the top up, wind noise is nearly nonexistent. 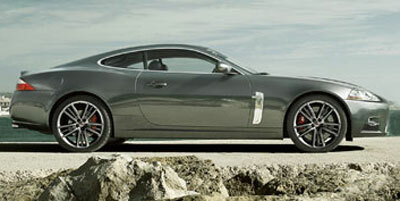 Where the regular XK fells like it has just enough power, the supercharged XKR comes across as properly potent. Digital screens located in the instrument cluster and on the center console prove difficult to read in direct sunlight. Strangely, there is no rear windscreen and the rear windows cannot be raised when the roof is down, leading to lots of wind noise and buffeting for taller drivers. Trunk space is quite limited, though we have seen worse. Next year’s model will have a new direct injection 5.0-liter engine with over 500 horsepower. Yikes. For a performance car, the XKR’s active suspension is incredibly forgiving, remaining floaty over even extremely coarse surfaces. It simply glides over the road. The steering is direct but power-assist is dialed up so high it feels about as authentic as non-dairy creamer. Still, it’s accurate and predictable – all that really matters in a near-two-ton convertible. As with the XF and XK, the six-speed automatic transmission remains excellently judged, blipping paddle-activated downshifts with sophisticated precision. The supercharged engine means power delivery is torque-heavy at all revs, but the engine really comes alive above 4,000 rpm. And thanks to active exhaust, you’ll get to hear that V-8 roar when you’re standing on the throttle, but it will quiet down under normal load. The XKR gets its power from a vocal, 4.2-liter supercharged V-8 engine that cranks out 420 horsepower and 413 lb-ft of torque, enough to get the coupe to 60 mph in roughly five seconds. Power is transmitted to the rear wheels via a six-speed ZF automatic transmission with paddle shifters and a dedicated sport mode. Active rollover protection comes standard on all XK convertibles. It’s a clever system that protects occupants by deploying two aluminum bars if imminent rollover is detected. Also of note is the ASL button on the center console, or “Automatic Speed Limiter.â€ It essentially assures you don’t accelerate beyond a speed you’ve set with the cruise control – not such a big deal here, but an absolute necessity in speed camera-inundated Britain. There is a lot of luxury built into the XKR, with rims, uprated brakes, premium speakers and adaptive cruise control being the only optional add-ons. A USB link for your iPod comes standard, but the interface doesn’t allow for going back one track, so if you skip a song, don’t expect to hear it until you’ve looped through your entire playlist. Inflatable side bolsters on the seats provide the best of both worlds – loose, comfortable freeway cruises and snug, sporty canyon drives. 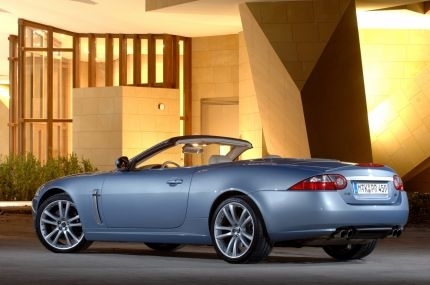 For a 4.2-liter V-8, the XKR returns surprisingly decent fuel economy, achieving 15 mpg city and 23 mpg highway while receiving an LEV-II emissions rating. Admittedly, those aren’t fantastic numbers, but 20 mpg on a Saturday afternoon cruise is pretty decent for a high-horsepower V-8. Simplified by a multiple menu touchscreen system, the XKR’s interior is able to avoid heavy use of buttons and achieves a clean interface as a result. Seemingly every surface is covered in some form of soft leather. Stylish and elegant, it leaves little room for improvement. 24 different interior color combinations are available. The soft-top looks somewhat cumbersome when up, and it provides comically minimal rear visibility, so you’re best leaving it down.19-inch wheels come standard and provide plenty of grip, but those looking to go larger can buy the optional 20-inchers. 15 exterior colors are available. 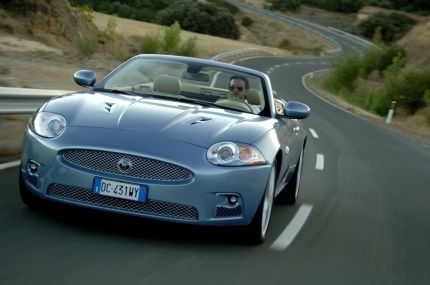 With an MSRP of $94,475, the 2009 Jaguar XKR competes in a very exclusive market. Rivals include the $97,700 Porsche 911 Carrera S Cabriolet, $88,590 Dodge Viper SRT-10, $98,500 Mercedes-Benz SL550 and $107,900 BMW M6 convertible, all of which have the firepower to keep up with the mighty Jag’s performance.